Should Some Thameslink Routes Be Transferred To Transport for London? Some commentators and politicians advocate the transfer of some Thameslink services to Transport for London (TfL). Thameslink has been designed as a single solution to multiple needs, with too much input from politicians worried about losing elections. If you look at Greater Anglia, Great Western Railway and South Western Railway, who have a similar mix of services as do Thameslink, they have opted for split fleets with short-medium and long distance trains,designed for their tasks. In the North of England, the short-medium routes are run by Northern and the long distance routes by TransPennine. Transport for Wales has now split their fleet into three; South Wales Metro, North Wales Metro and long distance. Services with different needs are using one fleet of Class 700 trains. Effectively, Thameslink are using a train more suitable for services between St. Albans and Wimbledon stations, on long distance services between Bedford, Cambridge and Peterborough, and destinations along the South Coast. Going between Brighton and Cambridge stations on an ironing-board seat is not a pleasant experience, as I noted in Observations On Thameslink Between Brighton And Cambridge. I believe that Thameslink could be split into two; short-medium and long distance routes. Currently of the twenty-four services planned in the Provisional Timetable, just four are short medium services that run all day. If we apply the London Overground principle of four tph stopping at all stations, then the Sutton Loop services, are already working to a version of this principle. Could other services work to the Overground principle? On the East Coast Main Line, a terminal to the North of Welwyn Garden City station is probably impossible, due to the limited capacity of the Digswell Viaduct. Welwyn Garden City also has a flyover, so that four tph services to London can reverse in a single platform. Welwyn Garden City with small modifications should be able to handle four tph on both Moorgate and Thameslink services. The Hertford Loop Line services have or could have excellent cross-platform interchanges with Thameslink services at Finsbury Park and Alexandra Palace stations, although they could be improved. The weak interchange is coming South at Alexandra Palace, which means using a bridge, but it is easy to use Finsbury Park instead. The Hertford Loop Line also gives access to three terminal stations; Gordon Hill, Hertford North and Stevenage, which could handle four tph. So could we see Thameslink services using the route? It would probably need some new six-car trains, which could be shortened from Thameslink’s dreadful Class 700 trains. These pictures were taken at Finsbury Park station. Could a bay platform for Thameslink services by added here? I suspect that one could, but would it be worthwhile? On the Midland Main Line, in addition to St.Albans City, currently, short-medium distance services terminate at Kentish Town and Luton. It is a pity, that the Midland Main Line doesn’t have a handy branch! I think for balance that both Northern branches will take an equal number of short-medium distance trains. Perhaps, four tph to two destinations on each branch. St. Albans City on the Midland Main Line. Luton on the Midland Main Line. Welwyn Garden City on the East Coast Main Line. Stevenage on the East Coast Main Line via the Hertford Loop. All services would be four tph. In the South, there are several stations, that could handle four tph. Traffic will determine which, but I like the claims of Dartford, East Croydon, Orpington and Sutton on the Wimbledon Loop. These short-medium distance routes should be transferred to the London Overground. It should be noted how if the Moorgate services are also transferred to the London Overground, as I outlined in Should The Moorgate Lines Be Transferred To Transport for London?, then the following frequencies would apply. There would be 20 tph between Finsbury Park and Alexandra Palace. With ETCS, I don’t think that last frequency would be unrealistic, as there are two separate lines in each direction between the two stations. These are currently, a disaster for passengers, as travelling between say Brighton and Cambridge in the dreadful Class 700 trains, is possibly the worst train journey in the UK in new train. In some ways Pacers are better! This article in the Express is entitled ‘One Is Not Amused’ The Queen Is Not Happy With Changes To Trains, Claims Rail Boss. If the Royal Posterior finds them hard in First Class, the seats must be dreadful there too! But it’s not just the passengers who don’t like them. I came back to London recently with a group of East Midlands Trains drivers. Their professional view of the Class 700 trains, is that they are not fast enough with an operating speed of 100 mph, as against the 125 mph of the trains run by East Midlands Trains. It should be noted that on the East and West Coast Main Lines, the semi-fast medium-distance services are generally run by 110 mph trains. So I feel very strongly, that the Class 700 trains are not only bad from the customers point-of-view, but totally unsuitable to run services on the Midland and East Coast Main Lines, where all other trains can cruise happily at 125 mph. They must be assigned to more suitable duties! Get some new trains on these routes designed by people with sense and style and the routes would be transformed. I also think, that the destinations served South of the Thames should be simplified. Thameslink is trying to serve too main destinations in the South, compared to the North, where long distance routes only serve Bedford, Cambridge, Peterborough and the intermediate stations. Perhaps, there should be more services linking from all along the South Coast to an improved rail station at Gatwick Airport. I have travelled to and from Gatwick Airport several times, since Thameslink reopened through London Bridge a few months ago. Outside of the Peak, these trains may be busy between London Bridge and Gatwick stations, but in the Central Core, passengers are fairly thin on the uncomfortable seats. Luton Airport have been campaigning for more services and I suspect Gatwick would like more too. So why not run a four tph service between the two airports, using well-designed airport trains? Thameslink is currently planning twenty-four tph through the core tunnel, but there are statements that thirty tph could be handled. The destinations to handle the extra trains exist in the South, especially, if routes out of London Bridge are replaced by Thameslink services, but accommodating more services on the East Coast and Midland Main Lines could be tricky. I believe it is possible to split Thameslink into two sections. Long distance services with new trains would stay with National Rail, but short-medium services would go to the London Overground and probably be run by six and eight-car versions of the existing trains. The section starts like this. Generally I do believe there are too many lightly loaded off peak services on the GTR network, and this means the system is unable to recover quickly from any incident. The system should be robust enough to mean that the service can recover fully from any concluded incident before 1400, to run a full and punctual service from 1600 onwards. This is impossible with the current timetable. It is clear to me that the three previously competing operators deliberately filled up every off peak path, to stop the other operators running additional services and receiving a larger income allocation through ORCATS. I can see no sign of any rationalisation of the contractual obligations occurring prior to the letting of the current franchise, so all the competing services were amalgamated into the new franchise obligations. The timetable is based on the assumption that almost every station on the GTR network must have regular direct trains to London, at all times of the day. In addition to provide 12 car trains on the busiest sections, principally Horsham / Haywards Heath – London Bridge / Victoria, trains from the “country” couple up at places like Horsham, Haywards Heath and Redhill. This is fine in theory, but results in a complex timetable and plan, with multiple potential failure points. I have noted that stakeholders on each route are unwilling to lose any through services to London, irrespective of the benefits to the overall system. There is no easy short term solution. Chris Gibb makes some suggestions including a “firebreak” in the middle of the day that enables services to recover for the evening peak. It looks a bit of a mess. The report indicates particular problems at Cambridge. The facility is currently unsuitable for 12 car fixed formation trains and the current trains have to be uncoupled to be accommodated. Greater Anglia will have the following trains at Cambridge in their open-air depot. All trains are fixed-formation and I suspect that Greater Anglia have a well-planned train parking philosophy, which could include. Parking two five-car Aventras in a long ten/twelve-car siding. Remote wake-up for the Class 720 and Class 745 trains as I discussed in Do Bombardier Aventras Have Remote Wake-Up? Parking the odd Class 755 train, that will work services to Ipswich in one of the bay platforms. Parking the Class 755 trains, that will work Norwich to Stansted, at the ends of the route. Having a remote toilet servicing team for their trains. But it would be difficult to fit in the following two trains per hour (tph) Thameslink services. Both services would be run all day, with journey times in excess of two hours, which probably means each service would need nine or ten trains. GTR will have a need for their own depot as mixing eight and twelve car trains will just fill up Greater Anglia’s depot and I doubt they will be pleased. The problem can’t be eased by running twelve-car trains to Maidstone East, as the Thameslink platform at that station is too short. Although Maidstone East station may be redeveloped in the future and a twelve-car platform 3 could be incorporated. This Google Map shows the layout of Maidstone East station. Could a twelve-car pltform be squeezed in? Six-car as opposed to eight-car trains may offer an alternative solution here. Cambridge would be served by a twelve-car train, that was formed of two six-car units coupled together. At Bromley South or Swanley station, the two trains would split, with one portion going to Maidstone East station and the other to another convenient station. Returning North the trains would join up again and travel to Cambridge as a twelve-car train. The advantages of this are as follows. Two eight-car tph in the core are replaced by twelve-car trains. Two eight-car Cambridge to London tph are replaced by twelve-car trains. Another destination South of London gets awo six-car tph to Cambridge. The only loser is Maidstone East station, which sees the train length of its two trains per hour to Cambridge reduced from eight-cars to six. The section on depots starts like this. The way in which the train fleet has expanded in recent years has resulted in a shortage of stabling facilities. 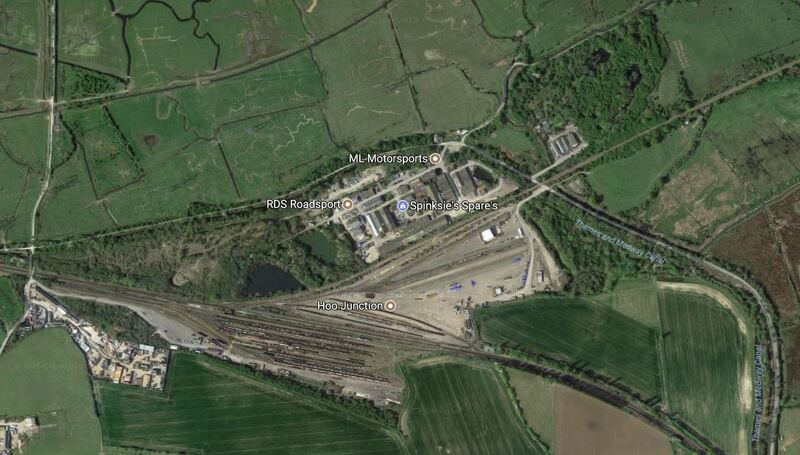 New facilities have been located away from train crew depots (e.g. Hove from Brighton) and are less efficient, involving driver time in taxis. Siemens new depot at Three Bridges is now the main centre for the Thameslink fleet, and overall the depot capacity on Southern is just about sufficient from what I have seen, although it is inflexible and inefficient. It then goes on to list problems at specific locations. Perhaps the late choice of Maidstone East station, as a terminus, has meant that a site hasn’t really been found for a depot at Ashford. The depot is unsuitable for 12-car fixed formation Class 700 trains, which block the entrance. The original plan was to increase stabling facilities at Slade Green, but this has now been established to cost £72m and too expensive. An alternative is urgently needed. The report sums up the depot issues like this. It also goes on to say, that more trains may need to be ordered to increase capacity on the Brighton Main Line and that a new depot will be needed. Before I add my fourpennyworth on depot issues, I will look at some of the features of Bombardier’s Class 345 trains. It is intended that all trains will be the same nine-car length, although at the present time, the trains under test in East London are a couple of cars short of a full train. This is mainly because the platforms in Liverpool Street, are not long enough for a full train and won’t be lengthened until a year or so. I suspect too, it enables Bombardier to build the trains in a more efficient manner and test out each type of coach fully. One of the advantages in having all trains of the same length, is that you maximise the capacity in a depot and as on both routes, the manufacturer pays for the main depots, a correctly-sized depot will reduce costs. Note that Thameslink’s main depots don’t seem to have issues, so can we assume they were well-designed? There was a bit of a fuss, when this was announced, as I wrote about in Do Crossrail Trains Need Toilets?. But given that many Crossrail stations have toilets on the platforms and trains are every ten minutes, no toilets on the train gives advantages. There is no toilet on the train that needs regular cleaning and fails occasionally. Overnight servicing of the train does not need the toilet to be emptied. I also suspect that the modular nature of the Class 345 train would allow one to be fitted if required. Remote wake-up is discussed in Do Bombardier Aventras Have Remote Wake-Up?. So imagine a Class 345 train finishes its last journey of the day in a platform at Shenfield station or a convenient stabling siding. The driver checks the train for sleeping bankers, locks up and goes home. The train reports to Ilford, that a couple of light bulbs have failed. The servicing and cleaning team arrive and get the train pristine for the morning. The train shuts down fully and all power is switched off to the overhead wires, so trespassers won’t be electrocuted. At an appropriate time, the train is signalled to come to life and warms up ready for the day, using battery power. The driver arrives and when signalled joins the main line, raises the pantograph and takes the train on its way. When I once described this process to a driver from Northern going to pick up a Class 156 train in Halifax, he had a big smile. In some ways, it’s a bit like parking your car out on the street. Except that for trains, you need a convenient piece of track. As power will be needed to warm the train up in the morning and you don’t want 25 KVAC live wires about, the only source of power possible is a battery. If the train had a toilet, it would be a more complicated process. What will the devious Derbians think of next? In my view there is one big difference between Thameslink and Crossrail. With Crossrail, which was in part a new railway line, every component was designed so it fitted together like a giant three-dimensional jigsaw. But Thameslink was designed by different teams over a series of decades. As we can’t go back to square one on Thameslink we have to make the best of what we’ve been left with. Bombardier’s remote wake-up concept is a straight steal from some upmarket road vehicles, so why haven’t Siemens stolen it? Especially, as the Derby Telegraph article dates from June 2011. Perhaps, their press cuttings agency doesn’t read that newspaper? If they had developed the technology, it would certainly help with remote stabling of trains, as you can have a much simpler facility. Thameslink also have a curious mix of eight-car and twelve-car trains, whereas Crossrail have sensibly opted for a common length, which as I said, must be much easier to store. Intriguingly, both Greater Anglia and South Western Railway have ordered mixed fleets of five and ten-car Aventras. But most six-year-olds can tell you that 5+5=10. The decision to buy a mixed length fleet of twelve and eight-car trains for Thameslink has caused a lot of these depot and a few other problems. I wrote more about the problem in Has Thameslink Got The Wrong Length Of Train?. I think in the end, Thameslink will lengthen the eight-car trains to twelve-cars and then lengthen the short platforms on the Sutton loop Line and a few other places. This would create sixteen per-cent more capacity through the central tunnel, by making all trains twelve-cars. But that is an expensive way to solve the problem created by not designing Thameslink as a continuous twelve-car railway. If you compare depot philosophies at Crossrail, Greater Anglia and Thameslink, the first two companies seem to have developed a comprehensive purchase and maintenance solution for all their new trains, whereas Thameslink have worked on the basis that it will be alright in the end. These factors don’t help Thameslink. The choice of a mix of eight- and twelve-car trains. The inability to join two short trains together to make a long train. The design of a Class 700 train, which appears to be geared more towards a traditional depot. I will be accused of being patriotic, but having ridden in both Class 700 and Class 345 trains, I’m coming to the conclusion, that Thameslink should have bought Aventras. I would also have to ask, if Krefeld in Germany is a better place than Derby, for decision makers to visit. This paragraph is from the Gibb Report, and is labelled Options for Change. I have quickly reviewed the current operation with both a short term and long-term perspective. The 2018 Thameslink project is the priority, and focus on that is necessary as the project remains high risk on many levels. Much change and dependency between Southern and Thameslink people and activities will be necessary during this period. It says a lot, with which I agree. GTR is too large and diverse. GTR is under significant pressure in respect of industrial action and poor Southern performance. I do wonder how much points one and three are related. I live in East London and when I moved here in 2010, rail services on the Lea Valley Lines were run by Abellio Greater Anglia, from a Head Office in Norwich. Trains and stations were in poor condition and could have done with a very deep clean. Staff appeared demotivated and were probably worried about their prospects. Stations were an information-free zone. Booking offices were not offering a first class service. Since May 2015, the Lea Valley Lines have been run by London Overground. Trains have been refreshed and are more reliable. Information at stations is now comprehensive. New ticket machines have been added. Staff appear to be more motivated. If you look at the passenger figures for Hackney Downs station, which I use regularly, they are increasing faster than they were. It will be interesting to see how things improve with the delivery of new Class 710 trains. So judging on my experience with the Lea Valley Lines being taken from Abellio and given to London Overground, I very much agree with some of Chris Gibbs recommendations to prune some routes and services from GTR. These posts deal with his pruning. I suspect more could be done. The Gibb Report, looks in detail at services out of Moorgate station on the Northern City Line in detail. Note that current plans for this line include. New Class 717 trains to replace the Class 313 trains, which are little better than scrapyard specials. Higher frequency and faster services to Hertford North, Letchworth Garden City, Stevenage and Welwyn Garden City. A step-free connection at Moorgate to Crossrail and four Underground lines. It could also be rebranded as the Great Northern Metro. Chris Gibbs flags up various issues with this service. He says this about the infrastructure. 25 new Class 717 six-car trains are being built by Siemens as a dedicated fleet for this route, and will be maintained by GTR at their Hornsey Depot. The line between Drayton Park and Moorgate is a former underground line transferred to BR in 1976 and partly converted for main line trains. It retains various Underground characteristics, such as third rail electrification with a fourth return rail, and tripcocks at all signals, and I believe Old Street and Moorgate stations are owned by London Underground as part of shared stations, and are in need of modernisation. The track and signalling is owned and operated by Network Rail. I would add a personal observation. Highbury and Islington station is a station where the below-ground platforms are in desperate need of improvement and step-free access. Over the last year or so, with GTR’s labour troubles, the operation of the station at times, has not been smooth, much to the exasperation of London Underground/Overground staff. Chris Gibbs also notes several issues with the employment of staff after 2018. Other current Great Northern services run between Kings Lynn, Cambridge, Peterborough and Kings Cross, and these will be part of the Thameslink operation from 2018, with most services continuing to destinations south of London and a few running to Kings Cross. I understand Great Northern drivers will be “temporarily” split between Metro and Thameslink in 2017 to avoid them all having to learn the cross London routes and Class 700 trains, so there may then be a some division for TUPE purposes. At present it is proposed not to initially train about 100 drivers on Class 700 trains, spread across several locations, and it is proposed to open new drivers depots, for example at Welwyn Garden City and Finsbury Park. These proposals have not yet been approved by DfT, and recruitment has not yet begun. However there is still risk that splitting the driver workforce, who currently enjoy variety of work, may be unpopular, and more work is required to evaluate this. All Great Northern Metro services are currently DOO. It looks like a disaster waiting to happen to me. He finishes his discussion on the Great Northern Metro like this. I believe there is an option to transfer the Great Northern Metro operation to TfL and it’s London Overground concession in 2018. If TfL / the London Overground concessionaire were to take the lead in this transfer, and the implementation of the new trains and service, this could reduce risks associated with the Thameslink programme, led by GTR. TfL, GTR and the London Overground concessionaire. Personally, I think that this would be a very good idea. In this area of London, we have three stations that need to be dramatically improved; Old Street, Essex Road and Highbury and Islingtont. All are on the Northern City Line and they could start with a deep clean at Essex Road, which was probably cleaner when it opened in the same year my father was born. But being serious, these three stations could be serious development opportunities. Highbury and Islington is a major interchange that hasn’t been rebuilt properly since it was bombed in World War 2 and was changed on the cheap to squeeze the Victoria Line through underground. Essex Road could also be redeveloped with a modern step-free station underneath. Old Street is now surrounded by towers and the road layout is being simpified, so why not put a massive tower on the site and build a modern station underneath? Having only one operator at the stations must surely ease redevelopment. I think if the split between GTR and the Great Northern Metro was thought through properly, there could be advantages all round. All services North of Welwyn Garden City on the East Coast Main Line and the Cambridge Line would be provided by GTR. All Hertford Loop Line services would be provided by London Overground. All Hertford Loop Line stations would be managed by London Overground. All stations South of Welwyn Garden City on the East Coast Main Line would be managed by London Overground. A turnback platform would be built at Stevenage. Welwyn Garden City and Stevenage stations would be updated to allow easy interchange between GTR and Great Northern Metro services. Alexandra Palace station is developed, so that cross platform interchange is possible between GTR and Great Northern Metro services. It certainly looks like a properly integrated 100 mph suburban rail route can be built to Stevenage, with similar fleets of 100 mph Class 700 trains and Class 717 trains on Thameslink and the Great Northern Metro respectively. The East Coast Main Line would work as now. Outer suburban services between Kings Cross and Stevenage, Peterborough and Cambridge. In 2018, Thamelink will link St. Pancras to Stevenage, Peteborough and Cambridge. On the Hertford Loop Line, there would just be a Great Northern Metro service between Moorgate and Stevenage, via Hertford North. There could be possible problems and questions. Would residents of Hertfordshire, object to services being controlled by the London Mayor? Who would pay for the required turn-back platform at Stevenage? Could London Overground absorb the route without too many problems? Would there be enough paths on the East Coast Main Line? Where would the depot for the Class 717 trains be located? How will Siemens respond to the change of operator for their Class 717 trains? But there are some other factors in favour. The Great Northern Metro service on the Hertford Loop Line would effectively be an independent double-track railway capable of handling as many six-car Class 717 trains as were desired. The current three trains per hour (tph) is probably way below the theoretical capacity, which is probably determined by the single platform at Stevenage. London Overground successfully integrated the Lea Valley Lines into their operation. London Overground and the Great Northern Metro both work under DOO. Hopefully, Transport for London have the knowledge to integrate the Class 717 trains into the tunnels to Moorgate. But they have an excellent museum! London Overground’s working practices would appear to be similar to those on the Great Northern Metro. London Overground’s station manning policies are better for passengers and may even be better for staff, who always seem to be courteous and enjoying their work. But surely the biggest thing in the transfer’s favour, is that it gives responsibility to new train introduction and updating of the Great Northern Metro to another operator, who has a proven record in this field, so that GTR can concentrate on launching Thameslink services. After train replacement the Great Northern Metro will be run by modern 100 mph trains, as opposed to 75 mph scrapyard specials. Currently, the Class 313 trains take the following times. Moorgate and Letchworth Garden City – 79 minutes – 16 stops. Moorgate and Stevenage – 63 minutes – 15 stops. As modern trains can save a minute or two on each stop, there must be the possibilities of faster services, with the serious possibility of Letchworth Garden City within an hour from Moorgate, with the new 100 mph Class 717 trains. Stevenage would certainly be well within the hour and I suspect that because of the extra speed an additional fourth train could be run to both Hertford North and Welwyn Garden City, with all Hertford North trains running on and terminating at Stevenage, once the turnback platform is built. To run four tph each route would require just eight trains or sixteen trains in total. If you split the order for twenty-five trains into two, that would mean twelve trains would be available for each route, which are enough trains to have the following service. These are the sort of frequencies that train operating companies like to run in South London. 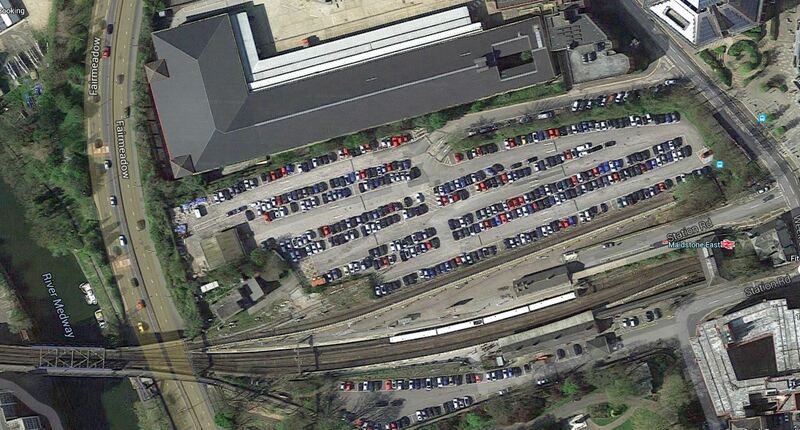 Alexandra Palace to Moorgate would have a massive twelve tph. The current timetable handles this frequency in the Peak, so it could be possible all day, with very little work needed on the infrastructure. London Underground would probably laugh at 12 tph, when you consider the Northern and Victoria Lines handle three times as many trains to a two platform below ground terminal. If you look at the timing of the fast Class 387 trains between Stevenage and Finsbury Park, they take around twenty minutes going fast down the East Coast Main Line, as against the Class 313 trains which take forty-four minutes using the Hertford Loop Line. On a rough estimate the new Class 717 trains might be able to do this trip in perhaps twenty-five minutes on an updated Hertford Loop Line. A fast high-capacity service on this route that has been neglected, must be capable of development with perhaps a Park-and-Ride and a couple of new stations. It may not be a bad idea to update the Hrtyford Loop Line with modern signalling and to allow faster running, as surely if the normal trains on the loop were modern 100 mph units, then extra paths could be found to act as diversion routes for the bottleneck of the double-track Digswell Viaduct. It’s amazing how faster trains can unlock the potential of a rail route. Chris Gibb has made an interesting proposal. There are good reasons to transfer the Great Northern Metro to London Overground. London Overground have the expertise to introduce the new trains. Transport for London have the expertise to redevelop the stations on the route at the Southern end. Moorgate, Old Street, Essex Road and Highbury and Islington stations become Transport for London-only stations. London would gain a new Metro line between Moorgate and Alexandra Palace via Highbury and Islington and Finsbury Park, that extends into Hertfordshire and has a frequency of at least twelve tph. Crossrail gets another North-South feeder line. Highbury and Islington and Finsbury Park will become high quality interchanges. The Hertford Loop Line can be developed independently of Thameslink and the East Coast Main Line to be a high-capacity North-South Metro from North London to Stevenage. The Victoria Line gets a cross-platform connection to the Great Northern Metro for Crossrail at Highbury and Islington. The only problem, is that it might remove some of the reasons for extending Crossrail 2 to New Southgate. Overall it strikes me that GTR have been working totally without any vision or any idea about how their new trains will transform the Great Northern Metro. The Gibb Report, says that the Ashford – Hastings route should be transferred to the new Southeastern franchise. The Gibb Report says this about the operation of the route. The Ashford – Hastings route is currently a service operated by 12 Class 171 diesel units, running as through services from Ashford / Hastings to Eastbourne and Brighton. The trains run empty to and from GTR’s Selhurst depot for maintenance. GTR’s 2018 Timetable consultation has proposed reducing the service back to Ashford / Hastings, and concentrating the fleet there to provide more capacity to relieve current overcrowding. In my opinion this service in its new form, in December, 2018, should transfer to the new South Eastern franchise. Bidders for that franchise should be asked to include it, and identify the most efficient way to run the revised service, and maintain the trains in Kent or East Sussex rather than Selhurst. Other possibilities exist that bidders should explore, such as bi-mode trains and electrification. Bidders will already be obliged to review arrangements for train maintenance and stabling as part of providing additional train capacity on South Eastern for the future. There are potential under utilised and rail connected depot facilities at Ashford and St Leonards, Hastings, that bidders will no doubt consider as part of their wider depot strategy. It looks to me that this is not an efficient way to provide a service. In Highspeed To Hastings, I outlined how Southeastern Highspeed services from St. Pancras would reach Hastings and Eastbourne. The most likely method seems to be by using a train with onboard energy storage, as bi-mode trains would have problems running with diesel in the tanks under London. It should also be born in mind, that with the completion of the Ashford Spurs, that Ashford would become a more important stop for services going to and from the Continent. So I suspect, there could be a strong case for a South Coast Express between Ashford and Bournemouth via Hastings, Eastbourne, Brighton, Portsmouth and Southampton. This service could be a nightmare to organise, as it involves three franchise areas. Bur several of my friends on the South Coast would benefit from such a service. The guy in Southampton, who regularly goes to Paris and Brussels. The guy near Chichester, who likes to visit his old school-friends in Brighton. People in Brighton, who would move to Hastings to take advantage of lower house prices and continue to work in Brighton. Often people have to drive and they spend a long time on the South Coast’s incomplete road network. Chris Gibb may be right, as regards Govia Thameslink Railway, but he is ignoring the wider picture. The Gibb Report, says that more station shelters should be installed. The Gibb Report says this about shelters. When the decisions were taken to lengthen most services to 12 cars, and the trains were ordered, one element of the overall system was missed: the provision of shelters at stations. It is noticeable how, on wet days, peak passengers board together from places of shelter, causing overcrowding at that point and sub threshold delays at numerous stations. Most stations, whether large or small, do not have shelter along the full length of the platform, or a canopy. Even Gatwick Airport, is an example of this: fine on the sunny daypicture, but inadequate in the rain. So it looks like the lack of shelters is a cause of train delays. I have just watched the updating of the Gospel Oak to Barking Line, where several new shelters have been added. I am very surprised GTR didn’t realise the importance of shelter for passengers.